MauiNow.com​ in partnership with Rising Sun Solar and the Volcom Pipe Pro, are offering the public a chance to win a V.I.P. trip for two to the 2016 Volcom Pipe Pro. The prize includes: Inter-Island Airfare for 2; 1 Day V.I.P. experience at Volcom Pipe Pro for two people – including lunch at the Volcom House; and 2 Volcom Pipe Pro V.I.P. gift bags. The holding period for the event begins on Thursday, Jan. 28, and runs through Feb. 7, 2016 at the famed Banzai Pipeline on the North Shore of Oʻahu. 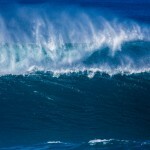 The three day event will be held on the biggest and best days of the surf period. The event features 112 competitors, with some of the world’s best surfers competing for the $100,000 prize purse, the list of which includes Kelly Slater, John John Florence, Dusty Payne, Jamie O’Brien and Bruce Irons. Young talent to watch for include juniors Griffin Colapinto (USA), 17, and Noa Mizuno (HAW) 17. The top performers will win a berth in the 2016 Pipe Invitational in December, for shot at the Pipe Masters wildcard. The window for the Volcom Pipe Pro, a World Surf League event, opens with a large swell, forecast to bring face heights of up to 50 feet on Thursday. The event will be broadcast LIVE at volcompipepro.com, as well as Live local television on Hawaiʻi’s Oceanic Time Warner Cable’s channel 250 and digital 1250. Rep. Ing on Industrial Hemp: "It's Time Has Come"